The Australian Dentists Directory is the most comprehensive directory to Dentists in Australia. The Australian Dentists Directory helps the public find Dentists clinics in their Location and by specialisation. It also helps Dentists promote their services to the public. 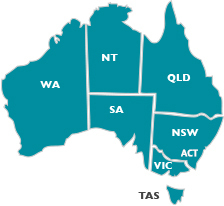 There are about 7,150 Dentists Clinics listed on the Australian Dentists Directory. You can easily find Dentists within a certain distance from your suburb, by suburb, nearby suburbs, or by region using the map. The public can also find a Dentist by specialisation, such as Orthodontists or Paediatric Dentists. Dentists clinics can add a Feature Page describing their services, thereby providing more information to the public looking for a Dentist in their location and area of service. Feature Page Dentists can also be found by Qualities, such as Emergency Dentists and Dental Hygienist. 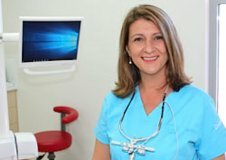 You can find Dentists in cities all over Australia: Sydney Dentists, Melbourne Dentists, Canberra Dentists, Brisbane Dentists, Adelaide Dentists, Perth Dentists, Darwin Dentists, Hobart Dentists, Gold Coast Dentists, Wollongong Dentists, Newcastle Dentists, Geelong Dentists and Noosa Dentists. The Australian Dentists Directory is produced by Future Media Group, which also produces the highly respected Australian Schools Directory, Private Schools Directory, the Australian Restaurants Directory, the Australian Accountants Directory and the Australian Lawyers Directory.